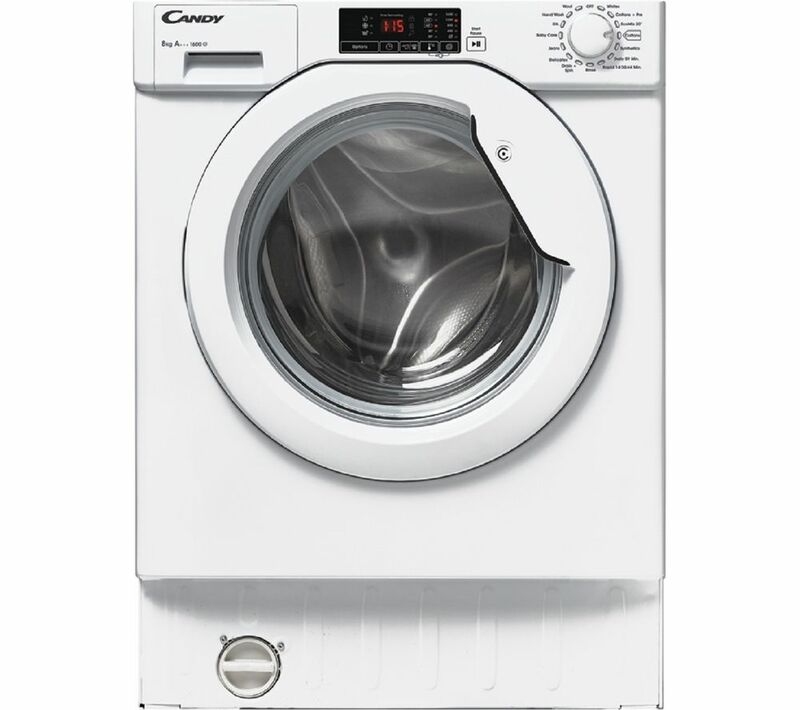 The Candy CBWM816D-80 Integrated 1600 Spin Washing Machine takes the fuss out of doing the laundry. It gets your clothes cleaned faster, and has them smelling store-fresh in no time. One way it does this is with an Extra Rinse option. If you've got a large pile of clothes to wash, just press a button on the machine to give your clothes an extra wash, just to make extra sure you get all that dirt and detergent out. For an even deeper clean, use the Hygiene+ program. It washes clothes at a constant temperature of 60°C, providing deeper cleaning of fabrics. There are plenty of other wash settings as well. EcoMix is great for fabrics and cottons - it washes them at a gentler 20°C, and cuts the energy consumption in half compared to a regular 40°C wash.
You can care for the youngest in your family with the Baby Care wash. It washes at 60°C, removing allergens that can irritate sensitive skin. Nobody enjoys doing the ironing. That's why the Candy CBWM816D-80 has an Easy Iron program that minimises creases. How? By reducing the intensity of the final spin.That means you spend less time ironing, and more time enjoying the rest of your day. Need something washed in a hurry? Activate the Daily 59 programme. It lets you wash a small 3 kg pile of lightly soiled clothes in just 59 minutes – handy if you want to freshen up your favourite shirt in time for a night out. For serious stains, hit the stain level button. You can choose between three levels of wash intensity depending on how tough the stains are. That'll be option three for those muddy football kits, then. The fitting of the unit door was a bit of a pain.